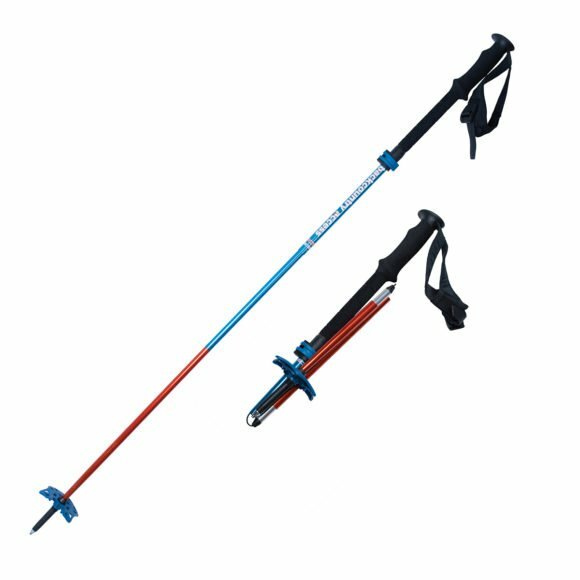 A collapsible four-season pole for ski touring, snowshoeing, splitboarding and hiking. The soft EVA grip and chokeup sleeve of our BCA Scepter 4S poles provide maximum comfort and grip with thin or no gloves. Folding mechanism allows pole to collapse and easily store on or in pack. Basket allows folded shafts to nest and secure together for the tightest controlled packing solution.